June | 2013 | Saviour Builders Pvt. Ltd.
Want to buy Affordable Houses in Noida, Email us. Thinking to buy Affordable Houses in Noida, Email us. The terms of contract for renting property should benefit both the lessor and the lessee. This is the second part of a two-piece series on the numerous rights and responsibilities that lessors (landlords) and lessees (tenants) have towards each other. Knowing some basic covenants of law can help parties negotiate and finalise terms and conditions of the lease better, and prevent disputes. The following covenants are implied in nature — in other words, they apply in the absence of a contract to the contrary between the landlord and the tenant. A lessee is required to pay his rent on time to the lessor, in the proper method as specified in the lease deed. A tenant is required to maintain the property in a good, habitable condition throughout his term of occupying the property. Upon expiry or termination of the lease, as the case may be, the tenant is required to peacefully hand over the property in the state in which he had first received it, except reasonable wear and tear. A tenant is required to use the property as a person of ordinary prudence would. Also, without the lessor’s consent, s/he is prohibited from allowing any other person from using the property for purposes other than what it was originally leased for. Further, a tenant will not allow anyone to do anything that may damage the property. A tenant does not have the right to construct or erect any permanent structure on the property, without first obtaining the landlord’s permission to do so. A lessee cannot deny the lessor entry to the property at all reasonable times for the purpose of inspection of the property. A lessee must fully disclose all property related facts to the lessor that the lessee knows but the lessor may not necessarily be aware of. In the event of any harm being caused to the lessor due to lessee’s non-disclosure of vital property -related information, the lessor may claim damages and compensation from the lessee. If a lessee becomes aware of any proceeding to recover the property or encroachment being made upon the property, or experiences any interference with respect to the right of the lessor concerning such property, the lessee is bound to inform the lessor of such encroachment/interference at the earliest. Unless otherwise stated by the parties in the lease deed, it is the lessee’s responsibility to pay stamP duty on the lease deed. Inadequate/non-payment of stamp duty can lead to competent authorities’ impound such lease document, along with a hefty penalty of up to ten times of the applicable stamp duty. Moreover, lease agreements that are not adequately stamped and/or registered qualify as being month-to-month tenancy arrangements. A month-to-month tenancy can be terminated anytime, irrespective of the duration prescribed in the lease, after giving the lessee a termination notice. Making your mind to Properties in Delhi NCR, Email us. Confederation of Real Estate Developers Associations of India (Credai) gives a thumbs up to the proposal of sale of property on the basis of carpet area in the real estate regulation bill. Real estate developers of repute and their representative body Credai agree that super area sale is not a transparent method in real estate dealings. Many admit that there are possibilities that developers manipulate the calculation of carpet area and common areas etc. Anil Kumar Sharma, president, Credai NCR, says “I do apprehend super area being misused by a lot of real estate developers. Such practices, however, are prevalent in commercial and not residential units.” There should not be too much of a difference between the total built-up area and the sum of the super area of all dwelling units in a group housing society. “I can understand if the difference is little more in case of a township because a lot of space is being utilised for numerous purposes which may not be a part of the built-up area,” he says. Lalit Kumar Jain, chairman, Credai, hails the provisions of the real estate regulatory bill tabled in Parliament recently as it recommends the sale of property on the basis of carpet area. “I have lot of objections to some provisions of the bill but as far as the carpet area sale is concerned, I am in its favour. In Credai’s code of conduct, it is mandatory for every developer to mention the carpet area of each flat to home buyers so that they know what they are getting from the developer,” he says. Jain feels carpet area sale is more transparent. Every developer should calculate costs to be incurred on construction and then fix the price on the basis of the carpet area of the apartment. “Doing so might mean higher costs per sq ft but at least a home buyer knows how much area he is getting at what cost. We all welcome the provision of carpet area sale in the real estate regulation bill,” he adds. Some real estate developers also allege that many builders are launching projects at affordable costs to attract buyers and later increasing profit margins by adding increased super area. “The carpet area sale will put a full stop to all such practices. It’s high time that the government put a stop to this robbery, says a real estate developer, requesting anonymity. Out of the 1.8 crore new houses built between 2007-2012, owners of over 1.1 crore units in India prefer not to let out the properties fearing that that evicting tenants will be next to impossible. This is primarily because India does not have a rental housing policy with incentives or benefits for private developers who could be encouraged to construct only rental housing. Stringent legal safeguards, too, are not in place for people wishing to rent out their properties. The government has finally woken up to the need to address the issue of organised rental housing for those who cannot afford to buy their own homes, especially those migrating from small towns to cities to work. A government-appointed task force has recommended a separate law for regulating residential rental housing in India and tax benefits to encourage private developers to set up rental housing projects. The 19-member panel headed by Jaithirth Rao, chairman, Value and Budget Housing Corporation Private Limited was set up by the housing and Urban Poverty Alleviation ministry last year to analyse the causes of non-availability of sufficient rental housing and recommend policy interventions for creation of such properties. In its report to be submitted in July, the panel has recommended setting up of a residential rental housing act specifically for the rental housing sector on the lines of the Model Residential Tenancy Act 2011. A separate law has also been proposed for residential and commercial rental properties. Other recommendations include basing rent prices on contractual agreement between landlord and tenant instead of standard prices at present being regulated by a rent controller or court. It’s said arbitrary increase in rent prices should be discouraged and a special fast track rental housing tribunal be set up for speedy resolution of all rent related disputes. According “infrastructure” status for large rental housing projects and tax benefits for rental management companies to help them operate smoothly have also been mooted. The panel wants that affordable rental housing should include affordable hostels and dormitories and flats of less than 60 sq m and that the total charges be kept to the minimum per month per bed. 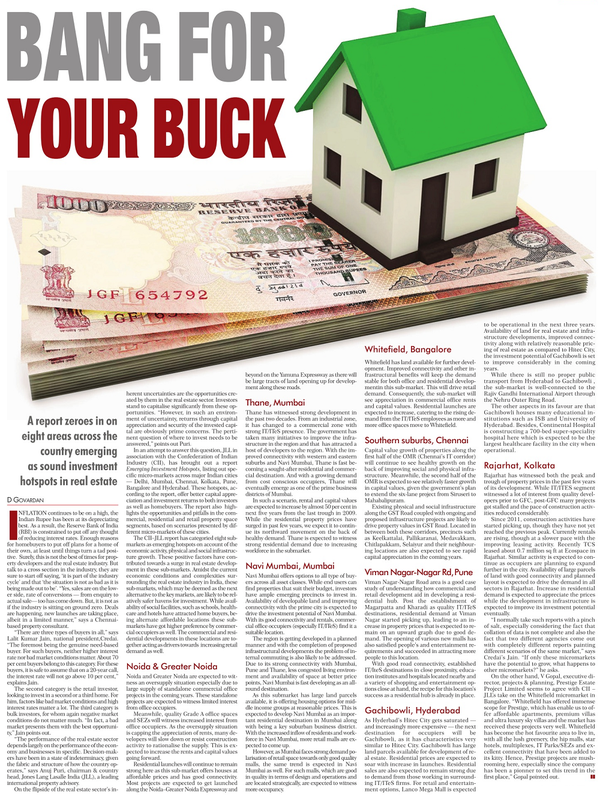 For large projects earmarked for rental housing, infrastructure status should be conferred, thereby allowing for a tax holiday, lower financial cost, depreciation benefits etc. Employers wanting to offer rental housing, rent-out facilities to their employers could be given specific grants or financial assistance by way of lower interest rates earmarked for rental housing projects. It has recommended that rental management companies should be given tax benefits so that they are able to provide the important bridge between the landlord and the tenant and facilitate smooth transition between the two parties. It has also proposed that once the project is completed, there should be a tracking system to monitor the expenditure of the projects. Rental housing can receive a shot in the arm only if there is a watertight legislation in place and tax incentives/subsidies for material and land moratorium on initial investment are provided to the builder community to enter the field. 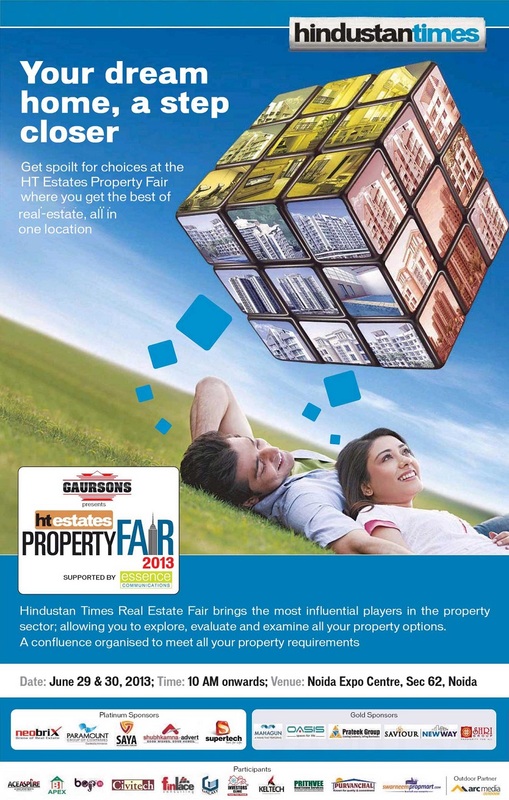 Need to buy Residential Properties in Greater Noida, Email us. A rental housing policy can go a long way in encouraging development of rental housing in the affordable housing segment by setting up public housing associations that construct, own, operate and manage the rental housing units. Firdose Vandrevala, chairman, CII National Committee on Real Estate and Housing, points out that there is a crying need to develop an institutionalised market for rental housing in India. Today, when private owners of apartment rent/lease their apartments the yield is in the range of just 5%, which is taxable. Therefore, most developers prefer to build and sell rather than build and rent. Given the demographics of India with a growing young population and the urbanisation that is taking place, rental housing is a critical success factor for India’s growth and development. Any policy that will promote and encourage the development of this market is absolutely necessary. Chintan Patel, director, transaction advisory services, Ernst & Young, says that the rental housing yield is far lower in India than in other countries where the cost of debt is less. In India the cost of debt is anything between 10% to 15% and the rental yield between 3% to 5%. This is not enough to incentivise the rental housing play into a revenue model. That gap needs to be reduced. “Cities like Mumbai, Delhi NCR and Bengaluru will benefit from such schemes as these cities attract migrant workers who initially cannot afford to invest in their own houses. Moreover, the cost of a basic housing unit is very high compared to Tier II and III cities in India which makes it difficult for an average worker to own a house. Hence, tenant housing becomes an easy option for such a segment. Extra FSI along with tax incentives for the developers should encourage more such projects which will enable tenants with more options,” adds Rohit Kumar, head of India Research, DTZ India. Want to buy Properties in Delhi NCR, Email us. Despite weakening demand for office space Connaught Place (CP) remains the fifth most expensive office market in the world. In property consultant CBRE’s semi-annual Prime Office Occupancy Costs survey, CP has retained its earlier ranking in the list of the world’s 50 most expensive office markets. The latest survey provides data on office rents and occupancy costs as of March 2013 across 133 countries. “Though demand for office space has reduced, occupancy costs remain high, especially in Connaught Place, due to limited supply in the near future,” said Anshuman Magazine, chairman and managing director, CBRE. And the gap in office real-estate occupancy cost between central business districts (CBDs) such as Connaught Place and suburbs such as Gurgaon (ranked 72nd) stays wide. In Mumbai the occupancy costs in Nariman Point, the country’s first planned CBD, have reduced further. In the CBRE survey, Nariman Point dropped to 26th position at $90 per sq ft per annum. In December 2012, it had ranked 25th. But the Bandra-Kurla Complex (BKC) retained its earlier ranking (11th) among expensive office markets, CBRE said. CBRE analysts said the Mumbai CBD — including the micro markets of Nariman Point, Fort and Cuffe Parade — had seen office space absorption of only 8,000 to 10,000 sq ft during the quarter. Office rental values in these micro markets declined 3-4% sequentially in January-March, they said. In the past few years, Nariman Point has lost some of its sheen and has seen rising vacancy levels since many companies have chosen to move offices to locations such as BKC, Lower Parel and Andheri. Rentals in the CBD have also fallen from over Rs 300 per sq ft a month in early 2011 to about Rs 250 now. Transaction activity was upbeat in BKC, with around 0.18 million sq ft of Grade A office space absorbed during the quarter. “The existing vacancy pressures and further supply addition (in BKC) during the current quarter have led to a decline in rental value by 3-4% quarter-on-quarter,” the analysts said. To purchase Commercial Properties in Delhi NCR, Email us. The right time to take a home loan is when you want to buy a house. After all, a loan is a means to an end. You should not time your purchase of property based on the interest rate cycle. This is even true for floating rate loans (and 95 percent plus home loans are on floating rate basis). After all, in theory at least, if the interest rates drop in the future, you will get the benefit of the rate drop at that time. This is not to say that home loan interest rates should not affect your property purchase decision at all. If your loan eligibility is lower than what you require due to high interest rates or you do not have the necessary down payment required for the property, then clearly, you have to postpone the decision and wait till interest rates drop. In fact, one good thing that has happened is that as rates have dropped over the last one and a half years, the spread between the base rate and the rate chargeable has dropped to as low as 0.25 percent in most cases and home loans are also available at base rates in a few cases. This will make it difficult for banks to provide interest rates even lower than yours to new borrowers in the future, without dropping the interest rates for you as well. If the bond market signals are to be believed, you will have much lower interest rates in the next 3-9 months. Other factors, such as lower inflation also point to a lowering of interest rates in the future. If you take a home loan from a bank with a low spread over its base rate (not more than 0.25 percent), the chances that you will also get the benefit of any future reduction in interest rates are quite high. So, if you have made a long-term commitment to a city, have the necessary down payment for the purchase and can make the EMI payments, you should go ahead and buy your dream home. After all, in the near future, your interest rate liability is likely to come down even further. To purchase Properties in Delhi NCR, Email us. As home buyers become more risk averse, sale of such properties is up 40% across the country in the last six to eight months. New home sales may be few and far between, but resale of properties is booming. Sale of such properties is up 40% across the country in the last six to eight months as buyers become more risk-averse looking at the enormous construction delays, property brokers and financial institutions say. According to Punjab National Bank and Indiabulls Housing Finance, around 35-40% of home loans being taken today are for resale properties, which include both apartments that are ready to move in and those that are in the late stages of completion. “Primary sales have slowed down and prices have stagnated or dropped. Resale of properties, however, has been strong in the last few quarters,” says SS Bhatia, general manager for retail at Punjab National Bank. Time over-runs in real estate projects have become a sore point with buyers. According to property research firm PropEquity nearly half of the 900,000 under-construction residential units are likely to be delayed by up to 18 months. 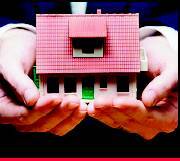 Slowing of the economy to a 5% GDP growth level too has put doubts in the minds of homebuyers. Property sales across the country have dipped in the last year and a half because of rising property prices. According to PropEquity, in the first quarter of the current fiscal 13,797 residential units was sold in Bangalore compared with 9, 742 units absorbed in Q1 of FY 2013. Other bigger markets like Mumbai Metropolitan Region absorbed 15,501 units, down 21%, National Capital region absorbed 26, 798, up 31% and Chennai saw 5953 units absorbed down 21% in January to March 2103 as compared to same period last year. “People are more comfortable today buying homes that they can move in to or have a visibility of getting delivery soon,” says Renu Sud Karnad, managing director of mortgage lender HDFC Ltd.
Local brokers in Noida, Gurgaon, Mumbai and Bangalore say there are a number of speculators and investors in the market today who have picked up under construction properties in the last two years. These people, says Samir Jasuja, chief executive officer of PropEquity, are desperate to get an exit and so there are a lot of distress sales out making it a good time for homebuyers to clinch deals. “When the market is good, a buyer would have had to pay a premium for ready to move in homes or homes in projects that are in their late stages but today he could land a discount,” says Harinder Singh, managing director of Realistic Realtors, a real estate brokerage firm. In the last two quarters, his company has seen primary sales reduce by 70% while resale of properties has seen a spike. The resale segment today is dominated by end-users, a majority of whom want to play it very safe, especially as they are bothered about construction delays. “There is certainly a shift. People are concerned about delays and do not want to take risk when investing their life savings,” says Sumit Joshi, director of Noida-based real estate brokerage firm Real Credit Consultancy, which helps clients get home loans from banks and financial institutions. Most people wanting to buy a house in Noida, says Joshi, are looking for homes that they can move in to within the next six to eight months and are wary of projects where they do not see construction reaching an advanced stage. While not all of these end users opt for a home loan, banks are certainly seeing an increase in demand in this segment. “We are seeing more number of buyers opting for resale homes as prices continue to be largely stable in this category,” says Gagan Banga, managing director and chief executive officer of Indiabulls Housing Finance. A year back, says Joshi, most people were opting for new projects being launched by developers across cities. To purchase Residential Properties in Greater Noida, Email us.